If you're a professional or executive after the highest level of education and earning potential you can get, you might consider pursuing a doctorate in business administration (DBA) or other doctoral degree in business or management. These degrees provide their students with in-depth knowledge on applied theories and real-world benefits, propelling graduates' careers in the commercial world, and often into executive and managerial roles. Online Ph.D. programs in business allow students to pursue their studies while maintaining their professional lives, thanks to flexible remote-study options and synchronous class formats. The typical DBA or Ph.D. program in business takes three to five years to complete, depending on your chosen program and course load. Courses usually focus on finance, global business, information systems, management, marketing, and operations and supply chain management, aiming to equip students to enter the business world as experts in their field. Post-graduate students can turn to many degrees to find further guidance in their business and management studies, including: PhDs in Management, Business Administration, or Human Capital Management, Doctor of Business Administration (DBA's), and Doctors in Management. Within these programs, students can expect to find highly specialized courses, exams, seminars, and dissertation work. A dissertation is the doctoral-level thesis, the culmination of a Ph.D. candidate's research into a topic, and typically the major requirement of earning the doctorate. With a dissertation, doctoral students are looking to reach to the furthest depths of their field and offer something new. Online graduate programs are on the rise. Online doctoral business and management programs are becoming more and more accessible to suite the needs of the busy student, from private, public, for-profit, nonprofit, 100% online, hybrid, non-accredited, and accredited schools and programs. With an online doctoral program, students can further their career, at their pace, all the while working and juggling other responsibilities. This Top 25 list was ranked on the following criteria: accreditation, flexibility, prestige, estimated cost, and business management curriculum. Each criteria was given equal weight in order to gather a well respected and high quality business management program. Data was gather from each program's website, US News and World Report, the Princeton Review, as well as the National Center for Education Statistics. Let this ranking help you find the highest quality online doctorate degree in business and management. Temple University is a four-year, public university that was founded in 1888, as The Temple College. The school was founded to "benefit the Working Men" after one Reverend spent his nights tutoring young professional men who worked during the day. From that one tutoring reverend, Temple University has grown to nine campuses around the world, 17 academic schools and colleges, 404 degree programs, and over 35,000 students. The university is regionally accredited by the Middle States Commission on Higher Education, and are highly ranked among the top schools in the country in multiple rankings from the Princeton Review and US News & World Report. Temple University's prestigious Fox School of Business and Management offers an AACSB-accredited, hybrid Executive Doctorate in Business Administration. This three-year, cohort program is designed to equip senior managers and executive to address complex and practical business challenges and become thought leaders in their field. The students are required to annually attend six weekend on-campus residencies for the first two years with additional instruction conducted online. This hybrid EDBA's estimated tuition is $124,200. 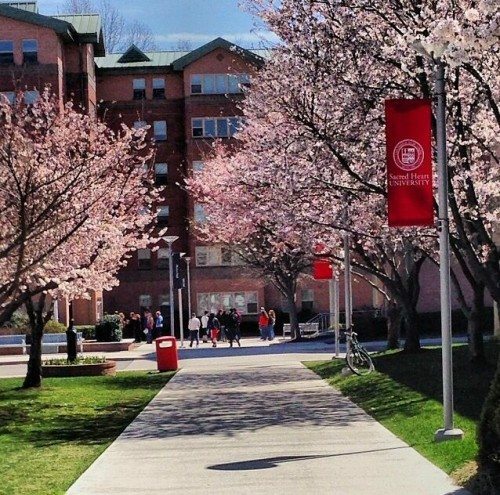 Sacred Heart University is a four-year, private, nonprofit university that was founded in 1963 by Reverend Walter W. Curtis. 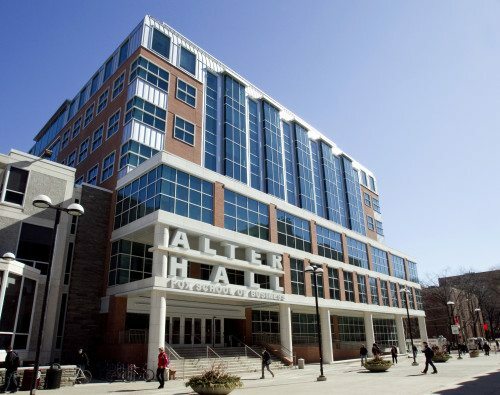 SHU is comprised of six academic schools and colleges that offer more than 55 associate, bachelor's, master's, and doctoral degree programs to over 7,700 students every year. They are ranked among the top school in the country as having some of the best schools and programs, and can be seen in multiple rankings from the Princeton Review and US News & World Report. The university is regionally accredited by the New England Commission of Higher Education. The Jack Welch College of Business offers an AACSB-accredited, hybrid Doctor of Business Administration in Finance. This cohort-based program is designed for finance executives and advanced business professionals with curriculum in quantitative methods and mathematical modeling, global financial markets and institutions, and advanced risk management. The DBA students' residency requirement consists of five weekend meetings per trimester. This hybrid DBA's estimated tuition is $95,000. 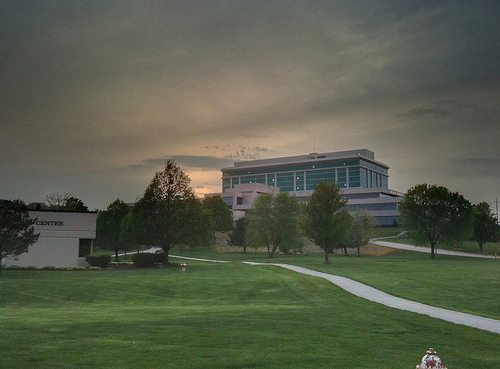 Bellevue University is a four-year, private, nonprofit university that was founded in 1966. Today, Bellevue offers over 70 bachelor's, master's, and doctoral degrees to nearly 10,000 students throughout their 15 campuses. Bellevue is regionally accredited by the Higher Learning Commission and desires to make high quality education accessible to all. Among their online offerings, Bellevue's College of Business offers a PhD in Human Capital Management. This program is designed for leaders with five years of professional experience who want to leverage the latest knowledge and practices of human capital management within their organizations. This online PhD's estimated tuition is $39,615. Sullivan University is a four-year, private, for-profit university that was founded in 1962 as the Sullivan Business College. Today, Sullivan offers associate, bachelor's, master's, and doctoral degrees to over 4,300 students every year. The university is regionally accredited by the Southern Association of Colleges and Schools Commission on Colleges. 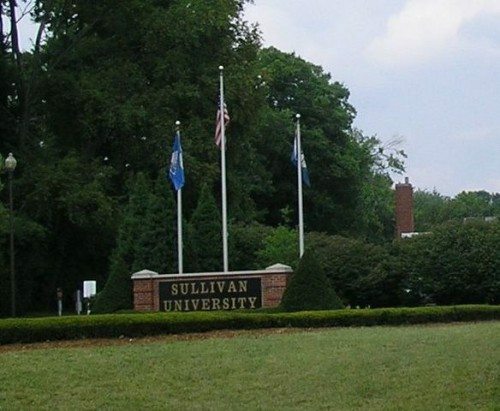 Sullivan's Graduate School offers an online PhD in Management. This 90-credit hour program is focused on areas of organizational management, organizational change, organizational health, and qualitative and quantitative research methods. Students are given the option of choosing a concentration from the following list: Conflict Management, Human Resource Leadership, Information Technology Management, and Strategic Management. This online PhD's estimated tuition is $74,250. Apollos University is a for-profit university that was founded in 2004. The university has a mission to provide higher education to qualified students that might not be able to attend or afford a traditional university. Apollos is nationally accredited by the Distance Education Accrediting Commission. The School of Business and Management at Apollos offers an online Doctor of Business Administration. This 61-credit hour program is designed to enable learners to develop an advanced appreciation and knowledge of the tools and processes needed to succeed as corporate leaders within the global business arena. The unique aspects of this program is that textbooks are provided to students at no cost and there are new terms starting every Monday. This online DBA's estimated tuition is $13,237. The University of Phoenix is a four-year, private, for-profit university that was founded in 1976. The University of Phoenix strives to provide higher education to busy working adults. They offer associate, bachelor's, master's, and doctoral degree programs at over 100 locations worldwide as well as online. The university is regionally accredited by the Higher Learning Commission. Their School of Business offers graduate students an ACBSP-accredited Doctor of Business Administration and Doctor of Management in Organizational Leadership. The DBA is a 68-credit hybrid program that 16 days in residency throughout the program with the majority of the program done in online instruction. The curriculum is focused on teaching change-management, operational process management, and strategic and successful business operations. This hybrid DBA's estimated tuition is $55,080. Also available is a Doctor of Management in Organizational Leadership. This 68-credit program is designed for mid-career professionals focusing on strategic and creative solutions to positively affect organizations. The DMOL requires 16 days of residency throughout the program and has an estimated tuition of $62,089. 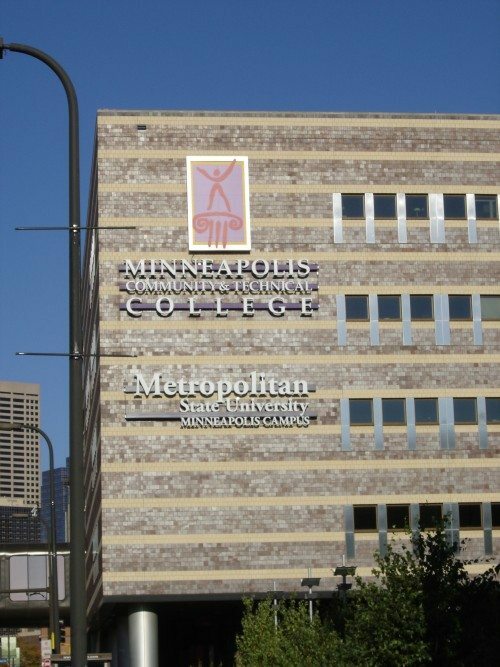 Metropolitan State University is a four-year, public university that was founded in 1971 and is a member of the Minnesota State Colleges and Universitites System. Metropolitan State offers over 60 bachelor majors, ten master's degrees, and two doctoral programs. The university is regionally accredited by the Higher Learning Commission. Metropolitan State's College of Management offers a hybrid Doctor of Business Administration program. This 52-credit hour program is designed to teach student to be successful, ethical business leaders in complex and changing organizations. Students in this DBA meet on alternate Saturdays with supplemental coursework done through an online platform. This hybrid DBA's estimated tuition is $26,307.32. 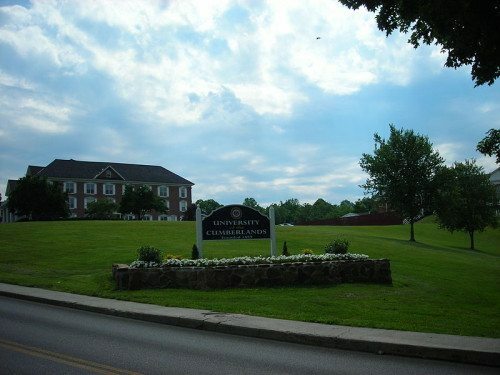 The University of the Cumberlands is a four-year, private, nonprofit university that was founded in 1888 as the Williamsburg Institute. Today, UC offers 40 different majors, minors, and pre-professional programs, as well as 12 graduate programs to over 5,700 students every year. The university is regionally accredited by the Commission of Colleges of the Southern Association of Colleges and Schools. UC offers graduate students an online PhD in Leadership. This program is designed to study effective leadership, teaching, and administrative methods. The program is theory and research intensive with its foundation in an EdD program in educational leadership. Students can choose from concentrations in: Business, Criminal Justice, Education, English, History, Mathematics, Psychology, Religion/Ministry, or Student Personal Services. This online PhD's estimated tuition is $24,750. The University of Wisconsin Whitewater is a four-year public school that was originally founded in 1868 and joined the University of Wisconsin System in 1971. 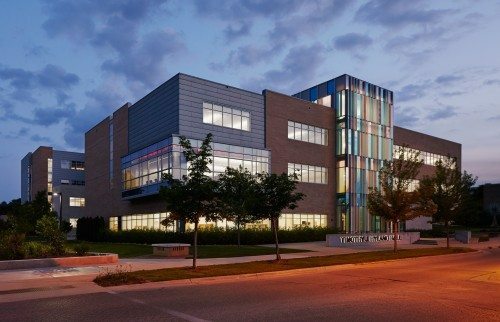 UW-Whitewater offers over 100 undergraduate and graduate majors, through four academic colleges, to over 12,000 students every year. The university is regionally accredited by the Higher Learning Commission. The College of Business and Economics offers accredited on-campus and online degree programs, including a hybrid, AACSB-accredited Doctor of Business Administration. This 60-credit hour, cohort-model program will prepare students to contribute to organizational knowledge and effectiveness. The program meets face-to-face once weekend a month and then engages in the online learning platform for discussion, assignments, and other course activities. This hybrid DBA's estimated tuition is $78,000. Trident University is a four-year, private, for-profit, 100% online university that was founded in 1998. Trident offers bachelors, masters, and PhD programs to over 6,100 students every year. Trident tries to serve the underserved student who is limited because of time, distance, or occupation and allows them to choose many online sessions offered at multiple times per year. The university is regionally accredited by the Western Association of Schools and Colleges. Trident's Glenn R. Jones College of Business offers an online PhD in Business Administration. This 56-credit hour program curriculum includes research method courses, theory courses, concentration courses, and dissertation work. Students can choose a concentration from the following: Accounting/Finance, Information Systems/Information Technology Management, Leadership, Management and Organizations, or Marketing. This online PhD's estimated tuition is $54,600. 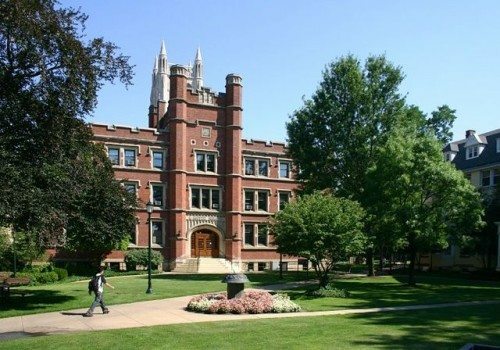 Case Western Reserve University is a four-year, private, nonprofit university that was established in 1826. Case Western is a comprehensive school that offers undergraduate and graduate degree programs to over 11,300 students annually. The university is regionally accredited by the Higher Learning Commission. They are ranked among the top school in the country as having some of the best schools and programs, and can be seen in multiple rankings from the Princeton Review and US News & World Report. The nationally recognized Weatherhead School of Management offers a hybrid AACSB-accredited Doctor of Management. This three-year lockstep program is designed to teach students the skills to apply evidence-based management in organizations and scholarly teaching. Each semester requires four on-site residencies as well as virtual sessions. After completing the DM requirements, students can choose to continue and pursue the Designing Sustainable Systems track in the PhD in Management. This hybrid doctoral degree's estimated tuition is $150,000. Northcentral University is a four-year, private, for-profit, online university that was founded in 1996. 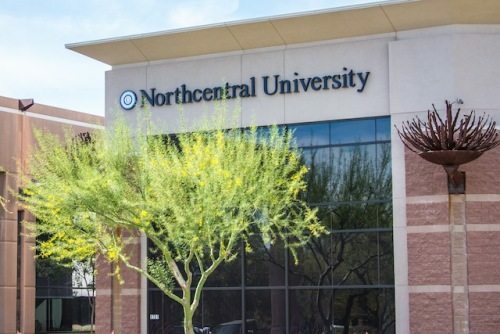 Northcentral University offers undergraduate and graduate degree programs to over 11,100 students annually. The university was inspired by the Oxford Learning Model and adopted a one-to-one teaching model that partners one student to one faculty member. Northcentral is regionally accredited by the Higher Learning Commission and offers an ACBSP-accredited online Doctor of Business Administration through their School of Business and Technology Management. This 54-credit hour program offers leaders high-level training in problem-solving, ethical decision-making, and executing strategies in organizations. Students are able to choose between 18 different specializations, including: Criminal Justice, Financial Management, Health Care Administration, Human Resources Management, International Business, Management Information Systems, Marketing, and Public Administration. This online DBA's estimated tuition is $68,090. 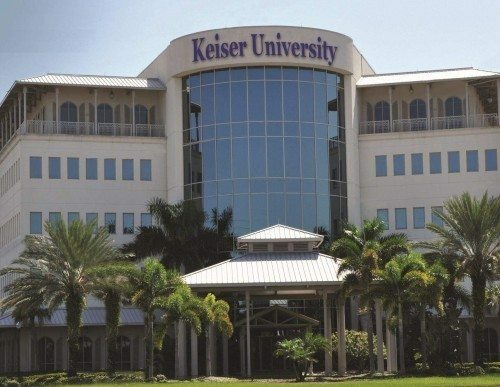 Keiser University is a four-year, private, nonprofit university that was founded in 1977 to serve adult learners seeking a career-focused education. Today, Keiser offers over 100 undergraduate and graduate degrees, on 17 different campuses and online to 20,000 students every year. Keiser is regionally accredited by the Southern Association of Colleges and Schools Commission on Colleges. The Graduate School at Keiser offers an online Doctor of Business Administration. This 60-credit hour program is designed to equip experienced business professionals with the business and management skills and knowledge to make a positive difference in their organizations and communities. Students are given the choice to specialize in Marketing, Global Business, or Global Organizational Leadership. This online DBA's estimated tuition is $74,000. Argosy University is a four-year, private, for-profit university that was founded in 2001 with the merging of the American Schools of Professional Psychology, the University of Sarasota, and the Medical Institute of Minnesota. Today, Argosy offers undergraduate and graduate on-campus and online programs, through eight colleges, to over 10,700 students every year. 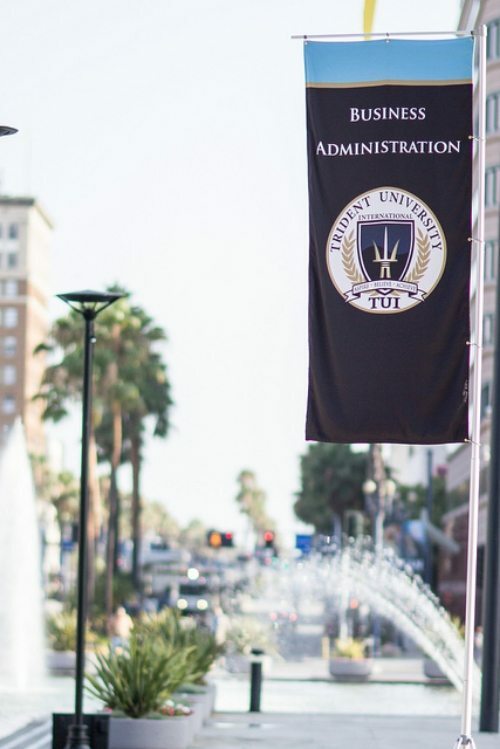 The university is regionally accredited by the Western Association of Schools and Colleges and offers an ACBSP-accredited online Doctor of Business Administration through their Graduate School of Business and Management. This 60-credit hour, three to five year program offers a curriculum focused on practical business concepts. Students are given the choice to tailor their studies with a concentration in Accounting, Management, Marketing, International Business, or a Customized Professional Concentration. This online DBA's estimated tuition is $55,500. Wilmington University is a private university that started in 1968 with 194 students. Today, Wilmington offers three associate, 26 bachelor's, three master's, and three doctoral programs to over 20,500 students every year. The university is regionally accredited by the Middle States Commission on Higher Education. The College of Business offers a 100% online Doctor of Business Administration degree. This 54-credit hour degree is focused on students developing the knowledge and skills to succeed in business consulting, management, and academia. The curriculum covers common core courses, program core courses, and a dissertation requirement. There is one residency requirement at the end of the course requirements to help students prepare for their dissertation. This online DBA's estimated tuition is $31,752. Baker College Online is part of Baker College, a private, nonprofit college that started in 1888 as the Muskegon College. 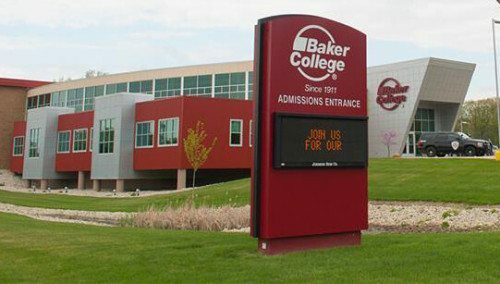 Today, Baker College, is the largest nonprofit, independent college in Michigan with over 28,000 students in more than 150 programs, taught at multiple campuses and online. The college is regionally accredited by the Higher Learning Commission and offers an IACBE-accredited online Doctor of Business Administration. This 90-credit hour, three-year program blends interdisciplinary content and research seminars and offers five different areas of specialization. The DBA culminates in a research-based dissertation at the end of the program, focusing on a real problem within today's workplace. This online DBA's estimated tuition is $53,100. 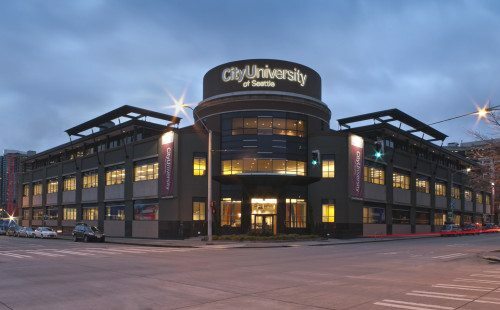 City University of Seattle is a four-year, private, nonprofit university that is dedicated to serving the working adult, with 30 different sites around the world as well as online programs offered through a virtual classroom. CityU-Seattle offers over 60 undergraduate and graduate programs to over 2,300 students every year. Among the many online programs available is an online Doctor of Business Administration offered through their School of Management. This program is regionally accredited by the Northwest Commission on Colleges and Universities. The 91-credit hour, three to four-year DBA is designed for professionals to develop advanced skills in organization interventional thinking, agile business practices, leadership, and critical thinking. This online DBA's estimated tuition is $60,515. 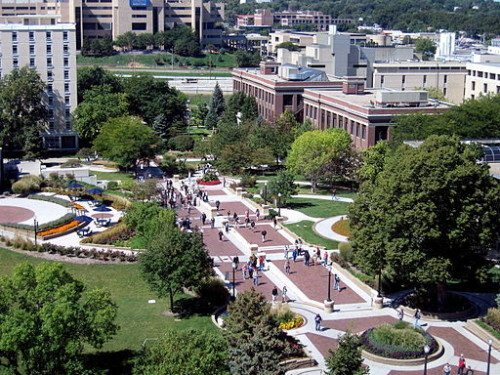 Creighton University is a four-year, private, nonprofit, Jesuit university that started in 1878. What started as an education for 120 students has grown to offer over 100 academic programs, through nine schools and colleges, to more than 8,000 students every year. They are ranked among the few as having some of the best schools and programs in the country, seen in multiple rankings from the Princeton Review and US News & World Report. The university is regionally accredited by the Higher Learning Commission. Creighton's highly acclaimed Heider College of Business offers a hybrid Doctor of Business Administration. This three-year, cohort-style program requires eight weekend residencies with the majority of the program offered online. This program provides Ignatian reflection and formation within a business education and provides innovative teaching methods to prepare for a future in academia. This hybrid DBA's estimated cost is $120,000, including fees, materials, hotels, and meals during residencies. Hampton University is a four-year, private, nonprofit university that started in 1861 when Mary Peake started teaching freed slaves in the North. Hampton University stands strong on its ground-breaking education roots and has grown to a comprehensive university offering over 90 undergraduate and graduate programs to 4,400 students annually. The university is regionally accredited by the Commission on Colleges of the Southern Association of Colleges and Schools. 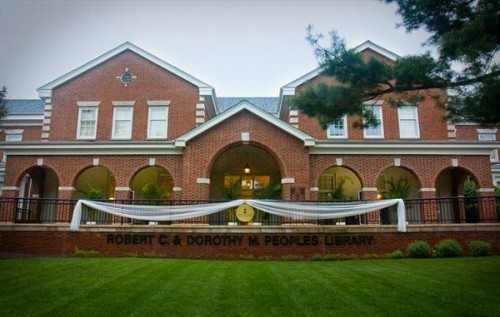 Hampton continues to meet the needs of its on-campus students as well as reaching a wider audience with its online programs through Hampton University Online. Hampton U Online and the School of Business offers an online PhD in Business Administration. This program is designed for professionals looking to advance in leadership roles or academia. Students must have three years of relevant work experience and are required to complete two summer residencies within the program. This PhD program's estimated tuition is $42,395. 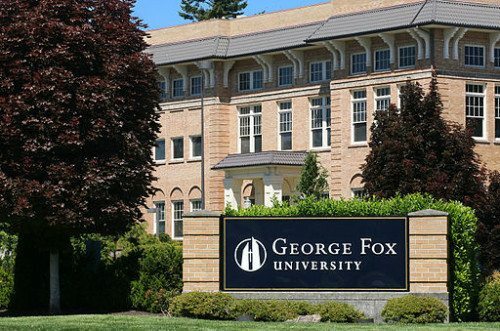 George Fox University is a four-year, private nonprofit, Christian university that was founded in 1885 as Friends Pacific Academy. Today, George Fox offers undergraduate and graduate programs to more than 3,900 students every year at their Newberg, Portland, and Salem campuses. The university is regionally accredited by the Northwest Commission on Colleges and Universities and offers an ACBSP-accredited hybrid DBA from their School of Business. This 56-credit hour program curriculum includes a business core, research core, and education core. Students can choose between an accounting, management, or marketing concentration. This cohort-style program requires one residency per year. This hybrid DBA's estimated tuition is $45,920. 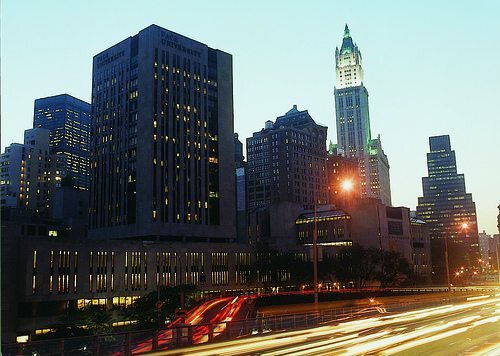 Pace University is a four-year, private, nonprofit university that was founded in 1906. Pace offers over 40 bachelor's, master's, and doctoral degree programs to over 12,000 students on two campuses and online. They are ranked among the few as having some of the best schools and programs in the country, seen on rankings from the Princeton Review and US News & World Report. The university is regionally accredited by the Middle States Association of Colleges and Secondary Schools. The highly acclaimed Lubin School of Business offers an AACSB-accredited hybrid Executive Doctoral program in Business. This 57-credit hour cohort program meets face-to-face on ten Fridays a year in New York. Coursework includes core graduate courses, concentration courses, and dissertation work. Students are given the option of choosing a Finance, Management, or Marketing Concentration. This hybrid doctoral program's estimated tuition is $55,200. 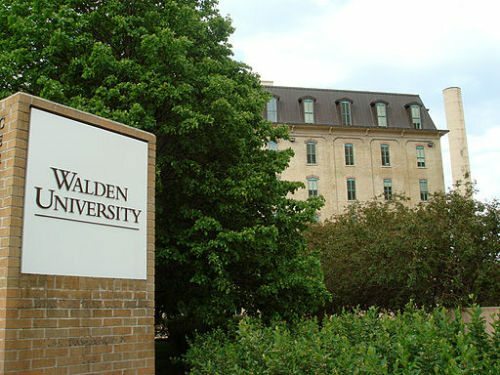 Walden University is a four-year, private, for-profit university that was founded in 1970. Walden provides a broad range of bachelor's, master's, and doctoral programs to more than 47,800 students every year. The university is regionally accredited by the Higher Learning Commission. Walden's College of Management and Technology offers an ACBSP-accredited online Doctor of Business Administration. This online DBA is designed for experienced business professionals and emphasizes decision-making, leadership skills, research, and positive social change. The program offers a variety of specializations, including: Entrepreneurship, Healthcare Management, Human Resource Management, Information Systems Management, International Business, Leadership, Marketing, Project Management, and Social Impact Management. This online DBA's estimated tuition is $55,200. 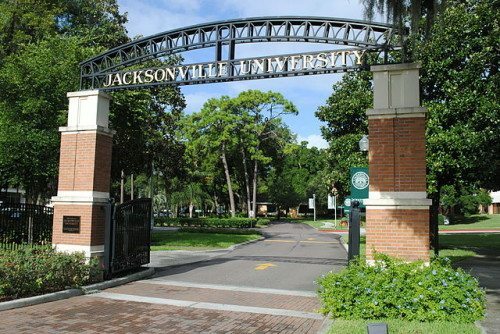 Jacksonville University is a private, nonprofit, four-year up university that was founded in 1934 as a junior college. Today, Jacksonville offers bachelor's, master's, and doctoral programs to over 4,000 students every year. The university is regionally accredited by the Southern Association of Colleges and Schools Commission on Colleges, and the highly acclaimed David College of Business offers an AACSB-accredited hybrid Doctor of Business Administration. This 60-credit hour program is ideal for professionals in leadership who desire to solve current work problems and challenges. The program requires students to meet face-to-face once a month, then engage and collaborate with faculty and students online. In the first two years of the program, students are focused on coursework while the last year is spent working with their dissertation advisor. This hybrid DBA's estimated tuition is $84,000. 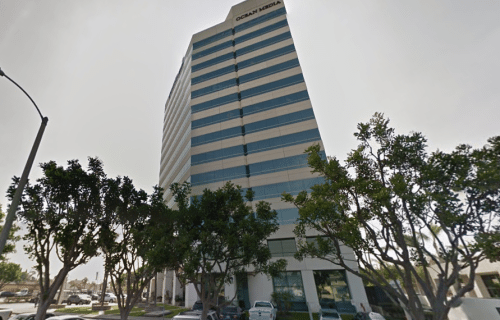 California Southern University is a private, 100% online university that was founded in 1978. CalSouthern offers associate, bachelor's, master's, and doctoral programs in psychology, business, law, and criminal justice. The university is regionally accredited by the Western Association of Schools and Colleges and by the Distance Education Accrediting Commission. 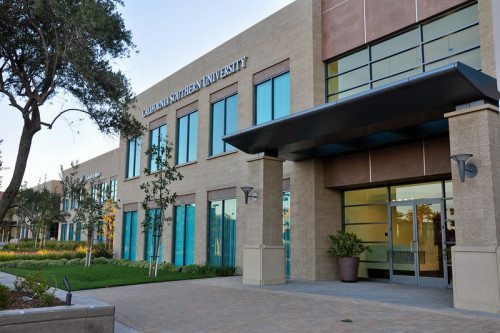 The School of Business at CalSouthern offers a 60-credit online Doctor of Business Administration degree. This four-year program is ideal for senior leadership professionals to differentiate themselves from other MBAs. This online DBA's estimated tuition is $23,700. The University of South Florida is a four-year, public, research university that was founded in 1956. Since its founding, USF has grown in prestige and size, now offering 180 degree plans to over 47,000 students annually. They are ranked among the few as having some of the best schools and programs in the country, seen on multiple Princeton Review and US News & World Report rankings. 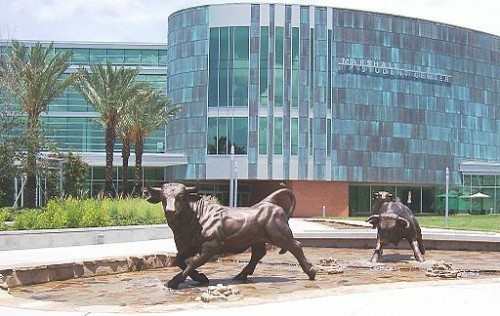 USF is regionally accredited by the Commission on Colleges of the Southern Association of Colleges and Schools, and their prestigious College of Business offers an AACSB-accredited hybrid Doctor of Business Administration. This 72-credit hour, three-year degree moves students through the program in a cohort and conducts 70% of the program online. Students are required to meet face-to-face ten times each year. The first two years cover an array of business and management topics and the third year is spent focusing on the candidate's dissertation requirement. This hybrid DBA's estimated tuition is $65,741.76.